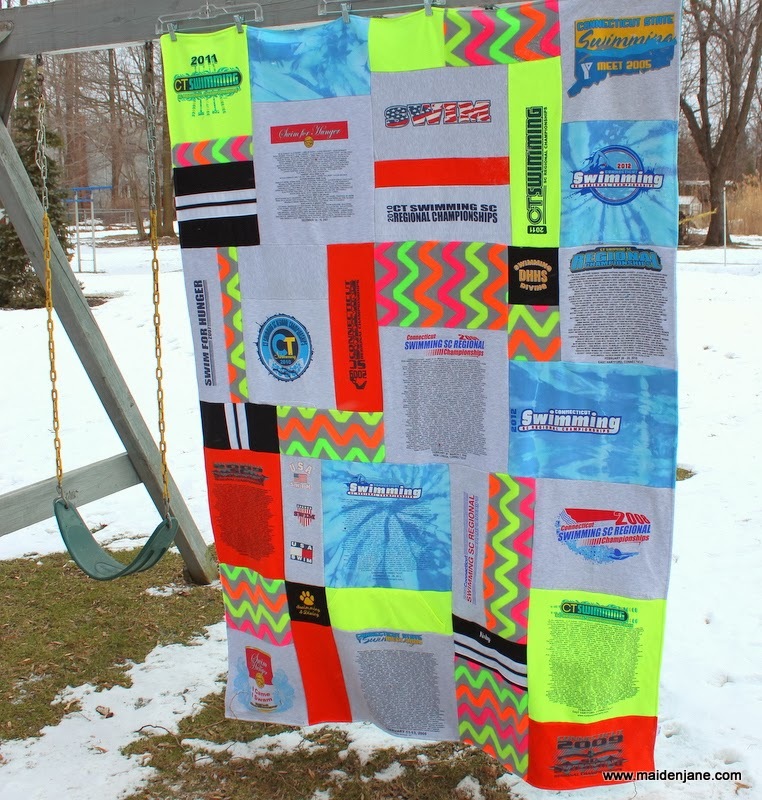 Crazy Quilt Memory Blanket with a Blast of Neon! 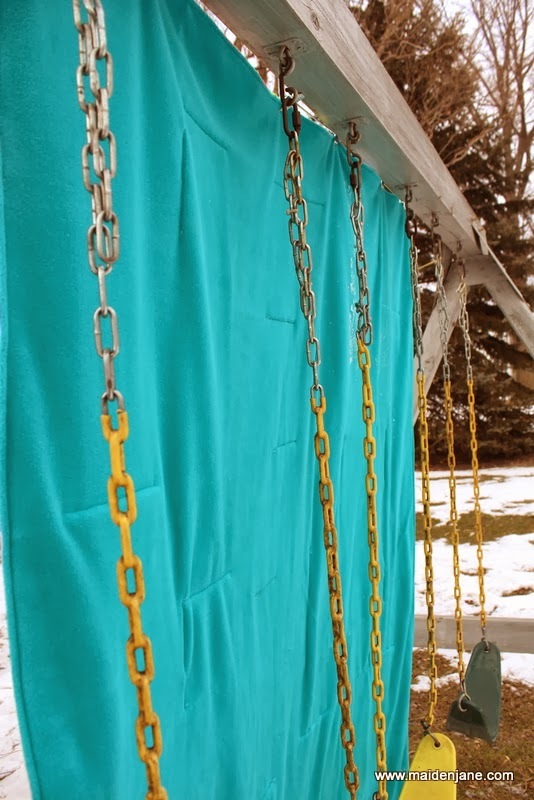 I am really happy with how this Hodge Podge blanket turned out. My customer send me about 7 sweatshirts. 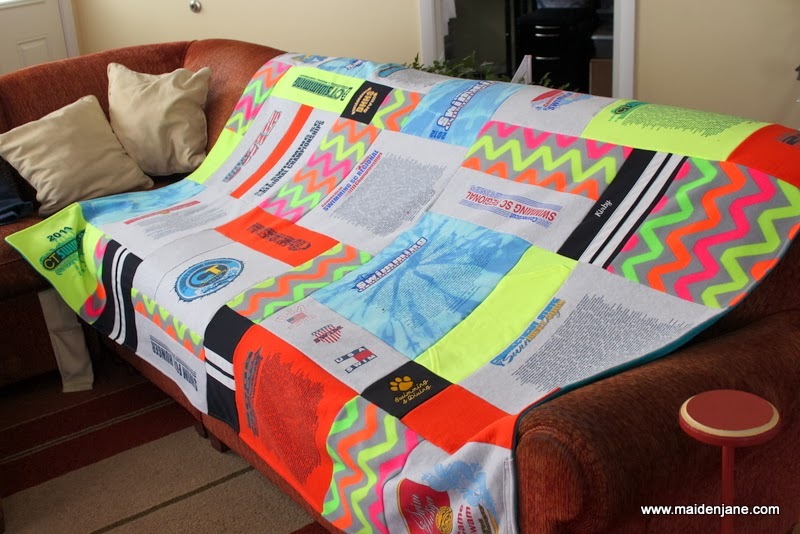 She wanted a crazy quilt style, but I typically use about 30 or so shirts for that. 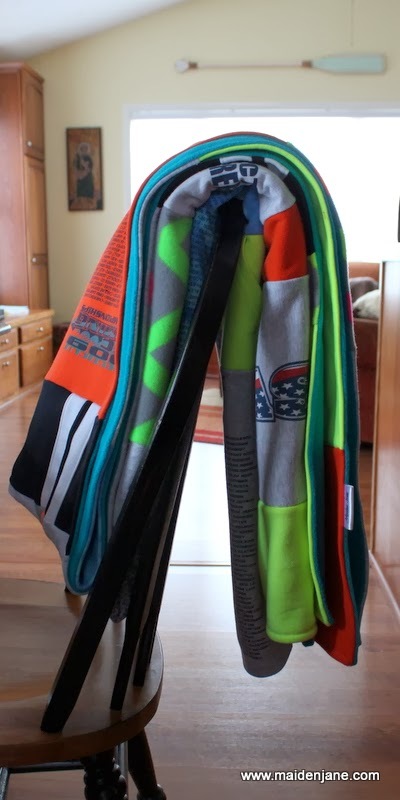 I thought I might make more of a Color Blocked blanket. 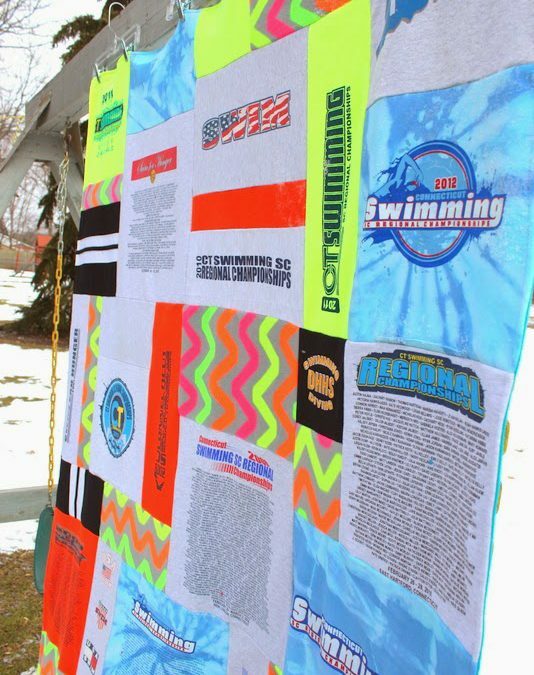 My customer selected the neon chevron fleece to use as a filler fabric. 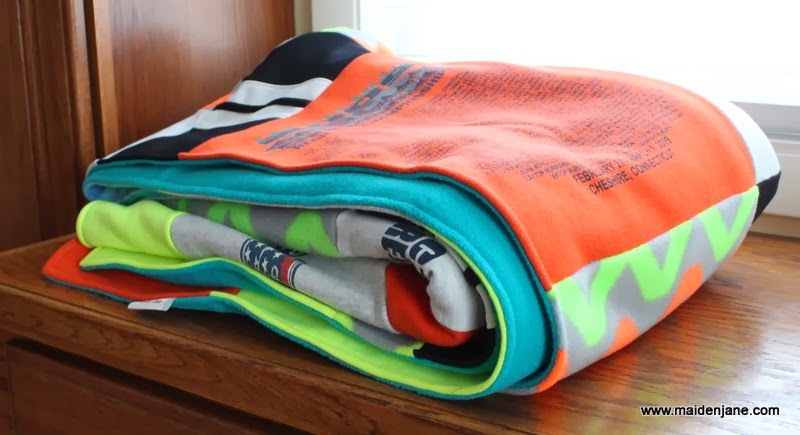 I love the zing that it adds to the blanket and how it brings together the neon sweatshirts into the color mix. 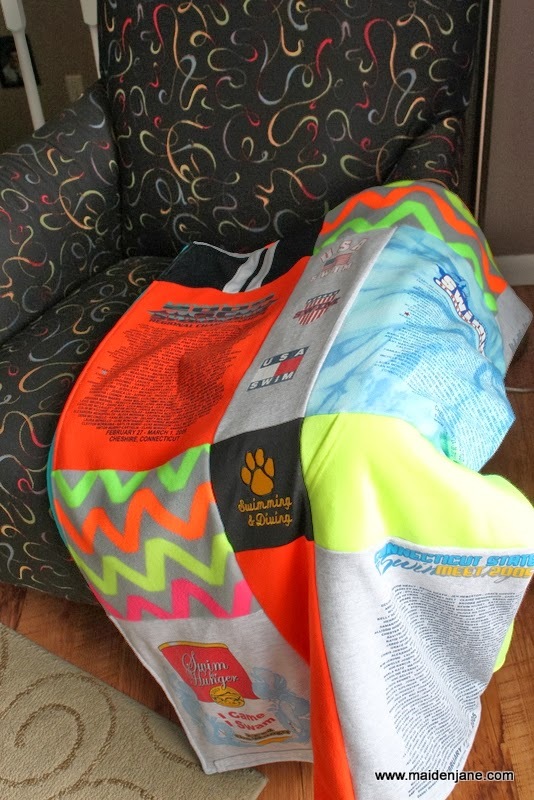 It turns out I used the layout for my Hodge Podge blanket, since I was able to use the sweatshirt backs and pieces from the arms. 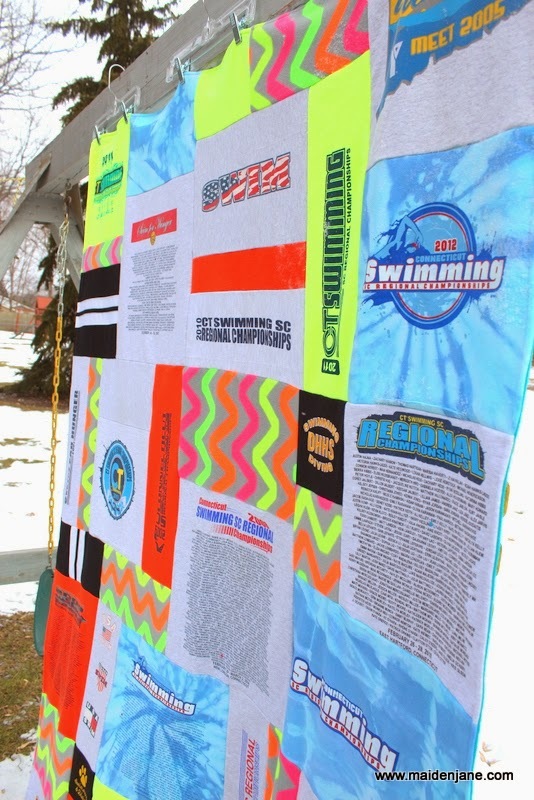 The backing is a lovely “Scuba” blue, which should match her college room decor. 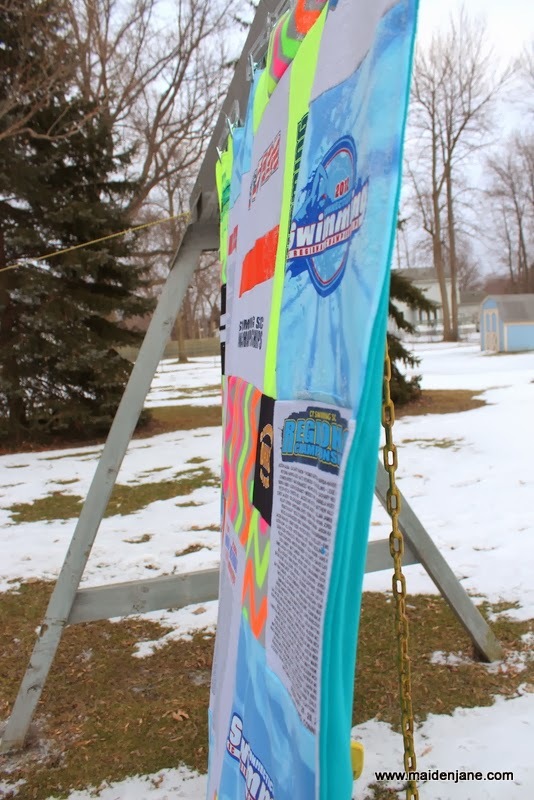 My photo shoot was anything but fun…….as I slipped on a patch of ice walking to the back yard!